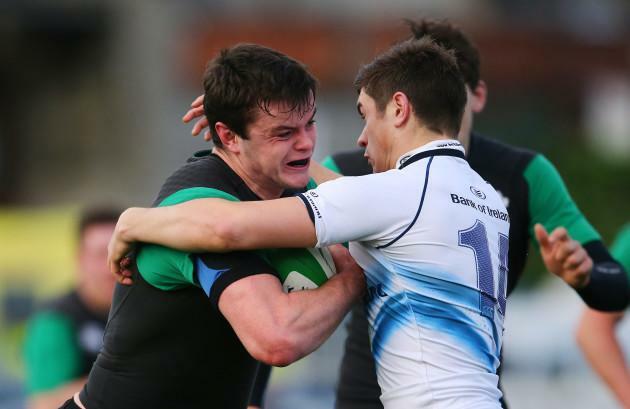 There’s something about St. Michael’s College and the Ireland U20 captaincy. Luke McGrath, Dan Leavy, Nick McCarthy and Josh Murphy have all come through the Ailesbury Road school in recent years to lead their country at this age grade, with second row James Ryan the latest in line. Others such as Noel Reid, Ross Byrne, Ross Molony, Cian Kelleher and Denis Coulson have come off the Michael’s production line in the last number of seasons, but many argue that 19-year-old Ryan is the most promising of the lot. The son of former Leinster back row Mark, Ryan has already skippered Ireland at U18 level and also led the Leinster U18s, U19s and U20s, as well as his school’s Senior Cup team. This Friday night in Donnybrook, the visit of Wales for Ireland’s opening clash of the U20 Six Nations [KO 7.35pm] provides Ryan with perhaps his biggest test yet. The Lansdowne clubman is “really proud” to have been handed the honour by head coach Nigel Carolan, but points out that the likes of Munster U20 captain Paul Kiernan and Ulster U20 captain Andrew McBurney will be important in aiding his leadership. 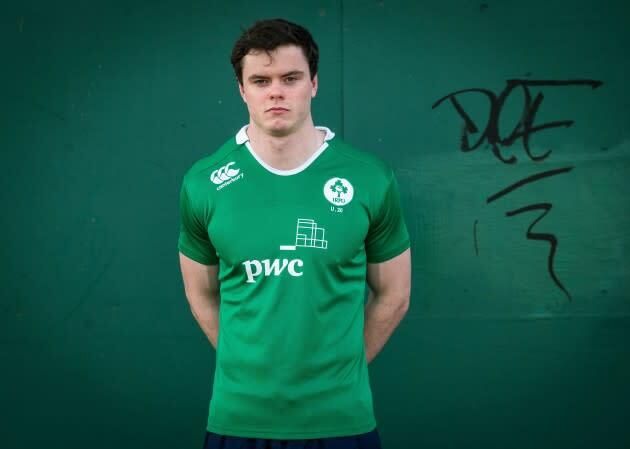 Standing at 6’8″ and now weighing 108kg after his routine of four weights sessions a week with Dave Fagan and the Leinster sub-academy, Ryan is part of a relatively hefty batch of Ireland U20 forwards this season. Returning prop pair Conan O’Donnell – a tighthead of eight senior Connacht caps – and loosehead Andrew Porter – whose physical prowess is remarkable – will be important and Ryan is enthusiastic about playing behind those men. “I think the pack is probably bigger than other years, guys like Andrew and Conan, they’re big fellas and will hopefully give us an edge in the scrum,” says Ryan. Given that the Ireland U20s pack struggled at times last season against the likes of Wales, the additional weight and strength this season is particularly welcome. Ryan is consistently improving as an athlete himself, as his performances on the pitch continue to stand out. He was everywhere in the U20s’ 66-12 win over a Leinster development side in December in front of a Donnybrook crowd that included Joe Schmidt. Last month saw Ryan make his first start for Leinster ‘A’ at the same venue in the B&I Cup win over Rotherham, as he again impressed. “I didn’t really know a lot about what to expect, although I got a taste the week previous against Moseley with 20 minutes off the bench, but it was a step up in terms of the tempo and the collisions were that bit more physical to what I was used to,” says Ryan. 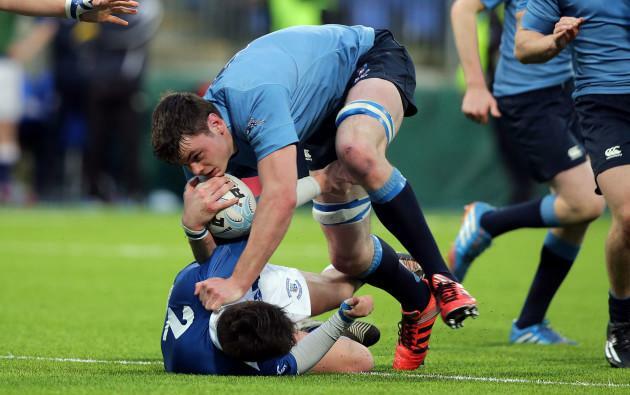 The forthcoming Six Nations is the only rugby focus in Ryan’s mind at present – a History and Politics degree in UCD will keep him occupied off the pitch – but he is likely to advance into the Leinster academy next season. The Ireland U20s mean everything right now, though this set-up serves partly as a developmental tool along the pathway. What are the things Ryan feels he needs to do to continue to grow as a second row? “I think the fundamental parts of the game, like set-piece,” says the 19-year-old, who has experience in the back row and even started a game at blindside flanker for Lansdowne this season. “I’ve got to be a decent lineout player and work on my scrum profile, that kind of thing. Carolan’s focus on the core skills of the game is of benefit too, as Ryan’s handling ability continues to be pushed alongside those physical elements. The sense is that Ryan is a man who prefers to do his talking on the pitch, and he will be pivotal if Carolan’s Ireland U20s are to enjoy success this season.